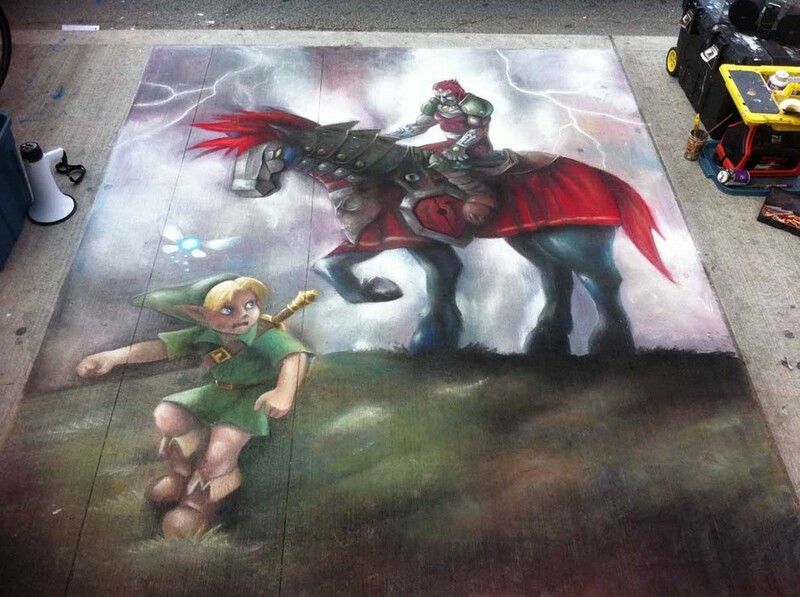 Chalkmaster David Johnson recently created a life-size version of some Ocarina of Time official art. The work, shown to the left, was done on the concrete outside Toronto’s Eaton Centre in Canada, on Saturday, May 21st. Nintendo of Canada themselves managed to get some pictures of David’s accomplishment, for all of us to enjoy. It took a whole day to complete, and could be washed away so much quicker than that with a little rain. It’s a great way to countdown to the 3D release of the game, click below for the full resolution.